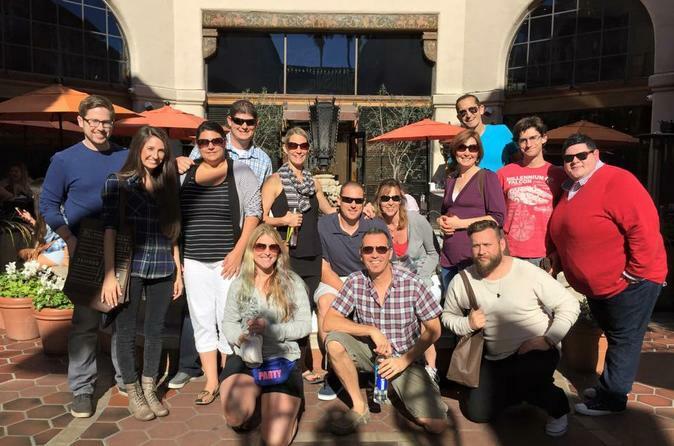 Eat great food, drink great drinks and learn about downtown Santa Barbara on this 3.5-hour walking tour. You will visit 7 local eateries/watering holes where the locals like to go and satisfy your appetite with the town’s award-winning cuisines. Indulge your palate for a few hours of sipping, sampling and savoring. This fun, informative and local lunch will open your eyes to a new Santa Barbara. 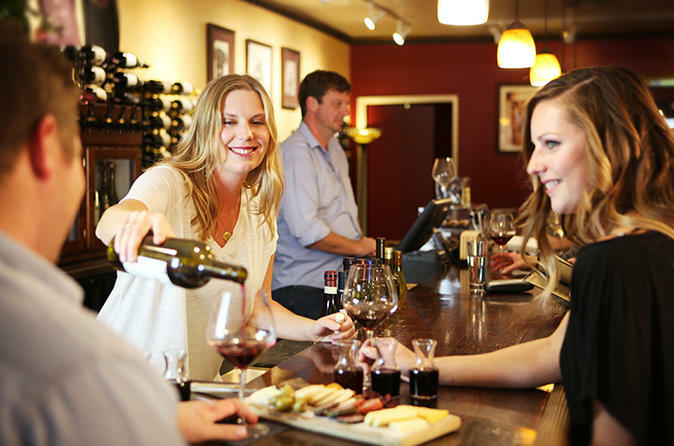 Enjoy a unique wine country experience with knowledgeable guides and a friendly atmosphere. Your personal guide will pickup you up at your hotel or other designated location anywhere within the greater Santa Barbara area. The five to seven hour small group tour has a maximum of ten guests and will consist of four tastings at various wineries and tasting rooms. Included with each tour is an artisan picnic lunch at one of the winery stops. This is an all inclusive tour with door-to-door service, and tasting fees and a lunchtime gourmet picnic are included. 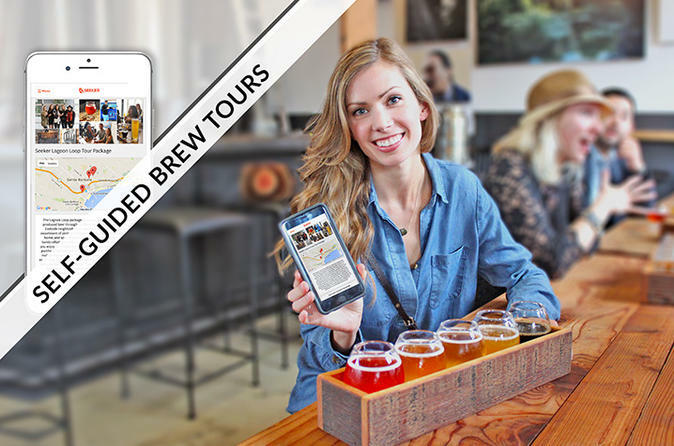 Experience Santa Barbara's wine culture and tasting rooms located in the Funk Zone neighborhood through this self-guided tour using your mobile device. 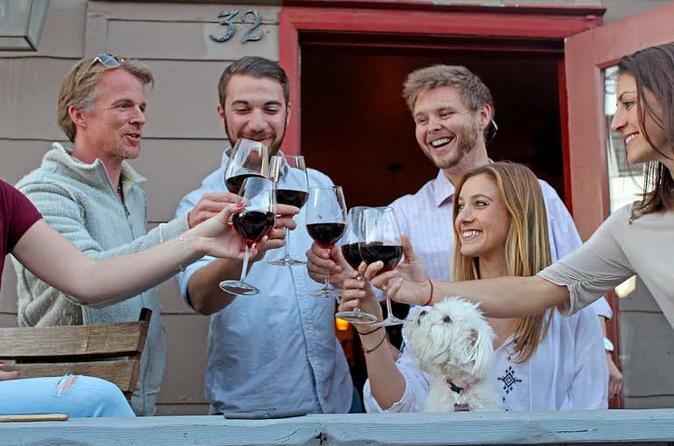 Enjoy a flight of wine, 3 featured glasses of wine, 2 for 1 tastings & special discounts from 7 tasting rooms bordering Anacapa Street in the hip area known as the Funk Zone. Sip at your own speed because the package items are redeemable for a year from purchase. Please note: the Anacapa Wine Walk is an app-based tour and self-guided. Use the app on your smartphone to guide you to each location and redeem included wine at each stop. The outing is great for corporate, special occasions, and wedding groups because once you've purchased the pack, all you need is your phone; there's no need to pay at each individual location. On this 5 to 7.5 hour tour(depending on pick up location), your guides will pick you up from your accommodations and whisk you away for a fun-filled, carefree day. Just sit back, relax and enjoy the beauty and wonderful, world-class premium boutique wineries in Santa Barbara wine country. This is an extremely fun and very educational wine tour! 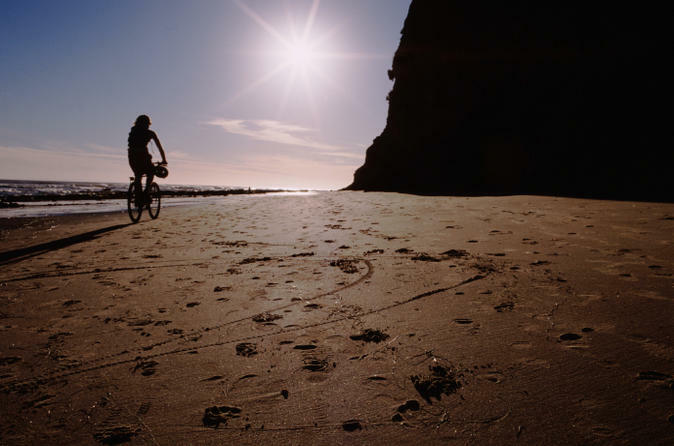 Enjoy the beautiful sights of Santa Barbara while riding an easy-to-use electric bike. Follow your guide to the Santa Barbara Mission, State Street and other historical sites, and learn about the city’s history. Have your camera ready as you cruise along the gorgeous Pacific Ocean coastline. This small-group tour is limited to five people, ensuring a more personalized experience. Indulge in photography and food tastings during a 3-hour walking tour of one of Santa Barbara’s artiest neighborhoods, the Funk Zone. You will sample food and drinks at three different eateries plus two wine-tasting rooms, a microbrewery, and a distillery — just enough to add up to a satisfying meal. Whether you're a smartphone user, a point-and-shoot amateur, or a skilled photographer you’ll practice taking quality photos from a guide who shares useful tips. 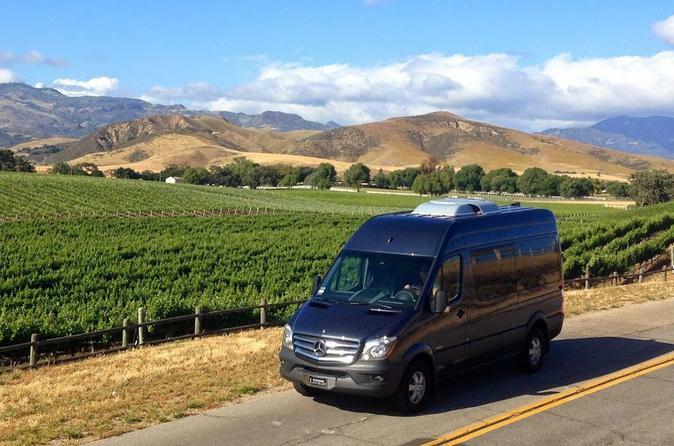 Private Santa Barbara Wine Country tour for your group. Visit four different wineries with tasting fees and lunch included. This tour is ideal for couples or groups of up to fourteen people. 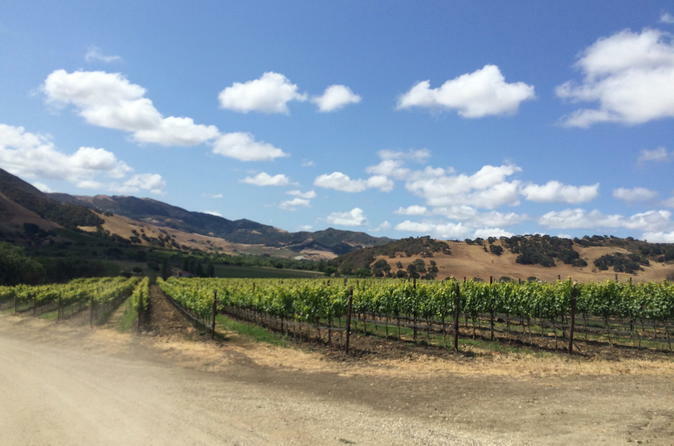 This is a 6 to 7-hour tour including pick-up and drop-off from your residence or hotel in Santa Barbara, Santa Ynez, Solvang, Buellton, and surrounding areas. 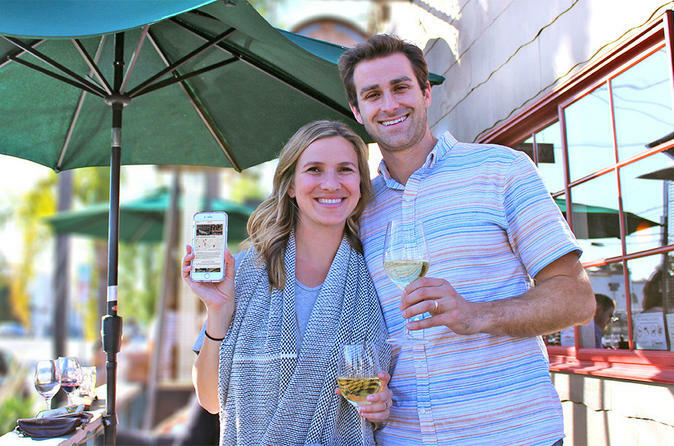 Experience Santa Barbara's wine culture and tasting rooms located in the Funk Zone neighborhood through this self-guided tour using your mobile device. Enjoy a bottle of wine, 6 featured glasses of wine, 2 for 1 tastings and special bottle discounts from 10 tasting rooms in the Funk Zone and beautiful waterfront area. Sip at your own speed because the package items are redeemable for a year from purchase. Please note: the Funk Zone Uncorked is an app-based tour and self-guided. Use the app on your smartphone to guide you to each location and redeem included wine at each stop. The outing is great for corporate, special occasions, and wedding groups because once you've purchased the pack, all you need is your phone; there's no need to pay at each individual location. 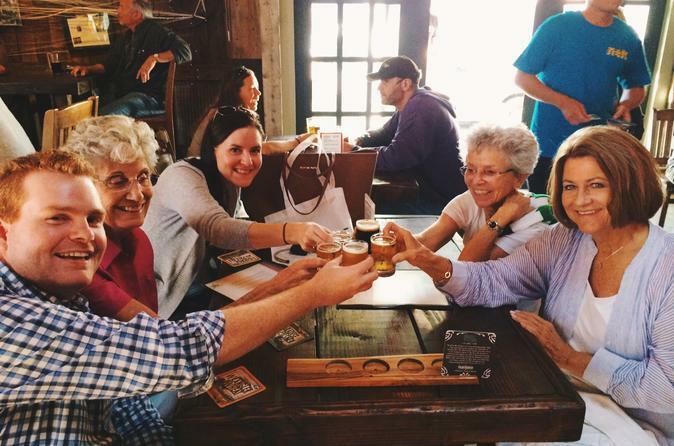 Get ready to have some fun exploring Santa Barbara's Lagoon Loop Craft Beer Trail! Enjoy included items like a filled growler to take home, pints of beer, a tasting flight, and other benefits from working breweries located in the Eastside neighborhood's "Lagoon District." In addition to sampling great craft beer, you’ll also get to see what makes each brewery unique. Please note: this is an app-based tour and self-guided. Use the app on your smartphone to guide you to each location and redeem included beer at each stop. The outing is great for corporate, special occasions, and wedding groups because once you've purchased the pack, all you need is your phone; there's no need to pay at each individual location. All partner locations are within walking distance of each other and are kid friendly. Experience Solvang's wine culture through this self-guided tour using your smartphone or mobile device. Meander through the charming, flower-lined streets of this pedestrian-friendly village to view the Danish architecture and large European style windmills, as you make your way to each wine stop. 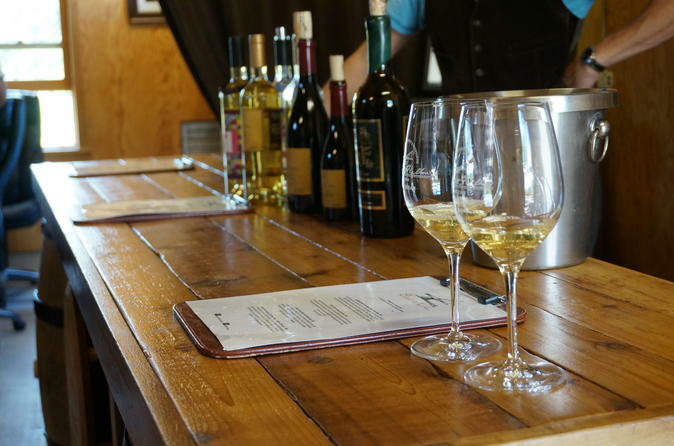 The Windmill Wine Walk includes 2 flights of wine, 3 glasses of wine, 5 two for one tasting flight coupons, and exclusive discounts on bottle purchases throughout the partner tasting rooms in the historic town of Solvang's Danish Village. Please note: this is an app-based tour and self-guided. Use the app on your smartphone to guide you to each location and redeem included wine at each stop. The outing is great for corporate, special occasions, and wedding groups because once you've purchased the pack, all you need is your phone; there's no need to pay at each individual location. All tasting rooms are dog and kid friendly! 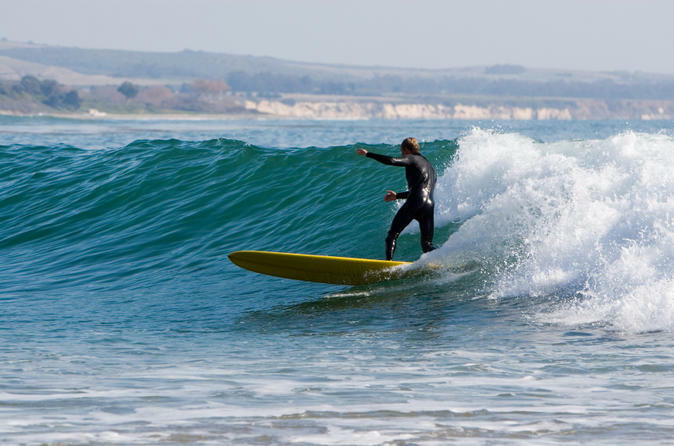 Learn to surf in beautiful Santa Barbara! Your expert instructor will teach you how to stand up on your board and ride the perfect wave, offering tips on balance while ensuring your safety. All skill levels are welcome, and equipment rental is included. This Southern California city offers great outdoor activities like surfing year-round. Explore Santa Barbara’s gorgeous terrain on a small-group beginner or intermediate mountain bike tour. Enjoy a fun, scenic ride along coastal bluffs and through picturesque meadows with your expert guide. Be sure to bring your camera for great photo opportunities of these world-famous Southern California landscapes! 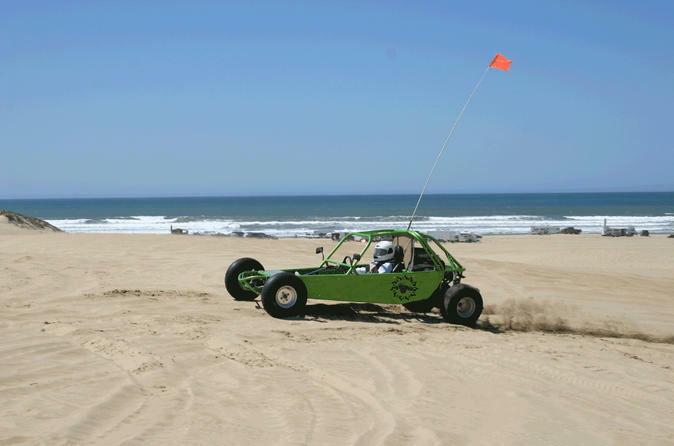 Whiz around the Oceano Dunes in a dune buggy with friends and family while during your stay in Pismo Beach. Nowhere else in California can you drive your vehicle on a public beach, so take advantage of the unique opportunity to cruise down the scenic Pacific shoreline before you get to speed, zoom and zip your way along miles of Pismo's popular sand dunes. This 2-hour dune buggy experience includes all safety gear and instruction.